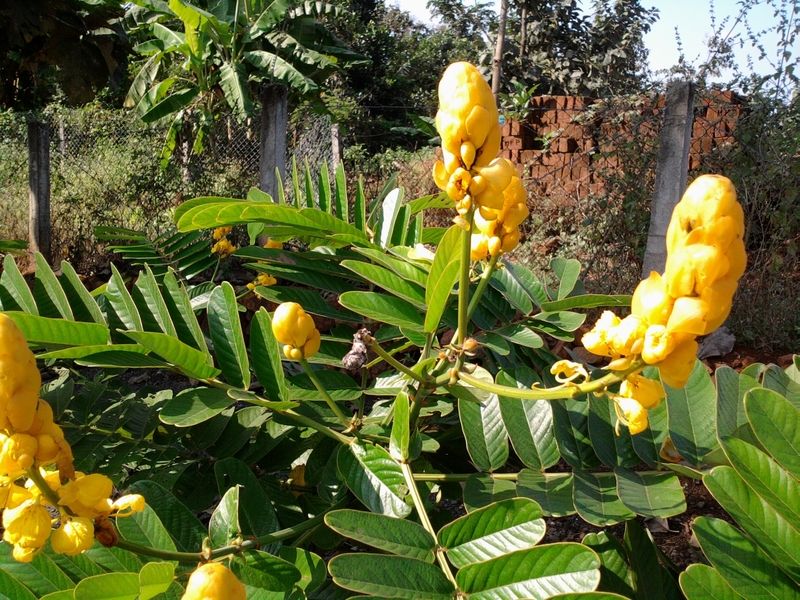 The yellow flowers of my Khulkhula (Showy Rattlepod) plants have withered. Their nectar stolen they have dried and dropped down. It’s over a week now and the butterflies no more frequent it. A butterfly or two do come up in search of nectar but soon abandon it. On a closer look at the plants I saw strings of seeds hanging from the branches. In another month or so they too will dry up. I’ll have handful of seeds which I intend to sow all over the edges once the rains set in June-July. Once the flowers bloom in November I’m sure I will get an eye full living in the company of the winged wonders. I plan to offer the seeds free to my neighbours too. If any of you want Khulkhula seeds, you know whom to approach. Last Sunday as I pushed the collapsible gate of my farm I came across one of the best spectacle in days. A sight that will stay in my memory for days to come. And since then I’ve been talking about it to people I know or I have come across. Never had I seen so many coloured stars. Yes, they resembled stars. I know stars do not appear in the day. Butterflies of all hues gathered around the Khulkhula duo I had planted in July, feasting or circling the yellow coloured flowers. Initially, when I saw the upright plants standing tall ringed with flowers I didn’t know its name, and so posted it on FB. But for one friend who tried his hand in identifying it and sent a link too, others had no clue. All ignoramuses like me. We know so less about the plant and insect world. 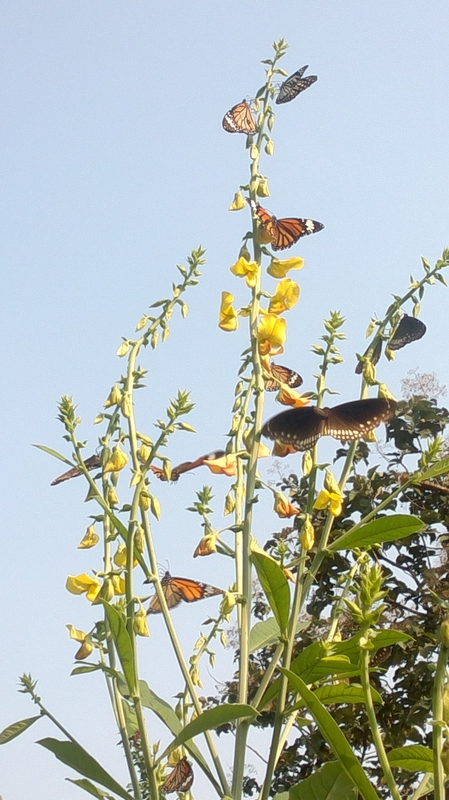 When I had planted them I never had a clue that one day I would feast on an assembly of butterflies. That too in my farm. 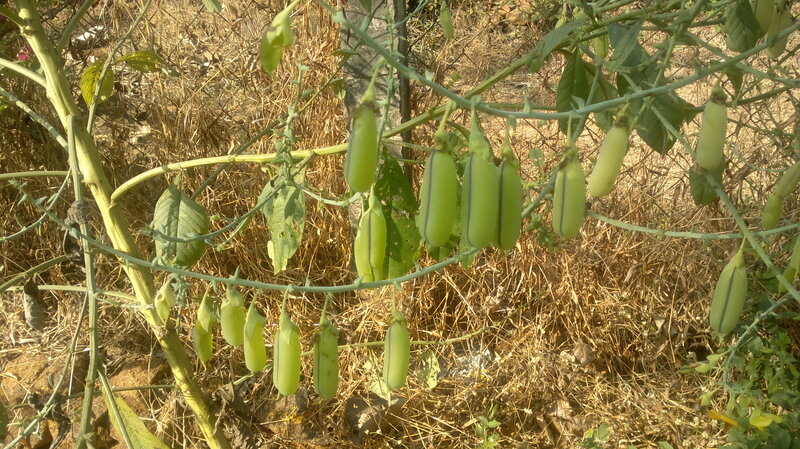 Now I remember I was given the seeds, still in their pods, while on a visit to a nursery in Nashik. As I pushed the new collapsible gate installed this Sunday at my farm I came to face to face with the blooming Temple Tree. April is the month when the flowers which in Cantonese is known as, ‘gaai daan fa’ or the ‘egg yolk flower’. Isn’t it true to its name? The white and blazing pink bougainvillea were giving company to the solitary Plumeria in my garden. I’m told flowers of Kathgolap, as it is known in Bangla, are most fragrant at night and lures sphinx moths to pollinate them. Incidentally, the flowers have no nectar, and simply dupe their pollinators. The moths inadvertently pollinate them by transferring pollen from flower to flower in their fruitless search for nectar. Plumeria has over 300 varieties and I plan to have some of them to add colours to my garden during the summer months of April and May. But I intend to have many of them because they lack nectar. The nectar I’m looking for the bees I plan to introduce. Before I became interested in farming whenever I visited a new place I would scour the bookshops selling old titles. Who has the money to waste on a new title? when you can have handful of them of pre-owned books at the same price. Now with publishers sending books for review week after week I’ve more books I can read in my life time. Still every month I read four to five books to churn out a 200-word review each. I’ve so many read and unread books that I’m waiting for a Good Samaritan who can relieve me of the tomes occupying valuable space in my library. With my thirst for new books quenched by the new arrivals sent by the publishers (and the ones I buy) nowadays I visit plant nurseries in the cities I visit. This time during my annual visit to attend Basel World, the annual Swiss watch show, I searched for shops selling plants. And I came across one just close to the Exhibition Square. I couldn’t buy the plants or the seeds for Indian airports bar entry of plant materials from abroad but went around clicking pictures of plants and garden sculptures. Here are some pictures I would like to share. 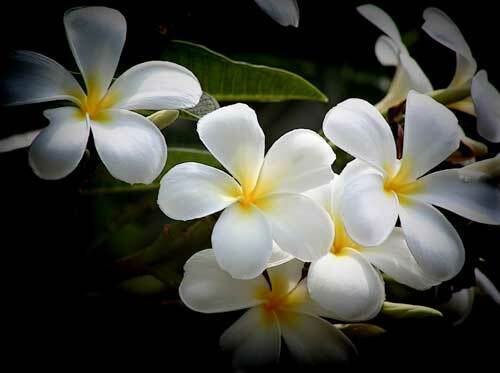 Jasmine or Mogra as we call it can be grown easily and fetches a good price in the market. If you visit Dadar ( Mumbai) flower market early in the morning you’re likely to come across mounds and mounds of jasmine which are used to make veni and garland. It has to be picked very early in the morning so that to get a price. This attractive ornamental shrub bears dark green foliage and powerfully fragrant white flowers, which only bloom at night. The oil that is extracted from the blossoms forms a base for some of the world’s most popular fragrances. There are lots of varieties of jasmine but it is jasminum sambac which is the best. When given proper care, the jasminum sambac will remain in bloom for six to nine months out of the year, allowing you to pluck to your heart’s content. Jasmines thrive in hot, humid daytime environments. One can grow it in most parts of the country preferably in the states of Maharashtra, Karnataka, Andhra Pradesh, Kerala, Madhya Pradesh, West Bengal, Orissa etc. Choose a planting site for your jasmine. This shrub grows fast and tolerates shade well, so select a location where you can appreciate the full decorative effect of the deep green leaves or where you can take in the fragrance of the jasmine flowers in full bloom. Prepare the soil for planting by working in a large quantity of organic material, such as peat moss or compost. Ensure your planting site is moist but well-drained. Jasmine sambac does not cope well with clay-like soil or boggy conditions. Apply a general purpose fertilizer once a month from March through November. Water when the soil is dry, being careful not to give the plant too much water. Tie new growth to a trellis or establish another system of support. 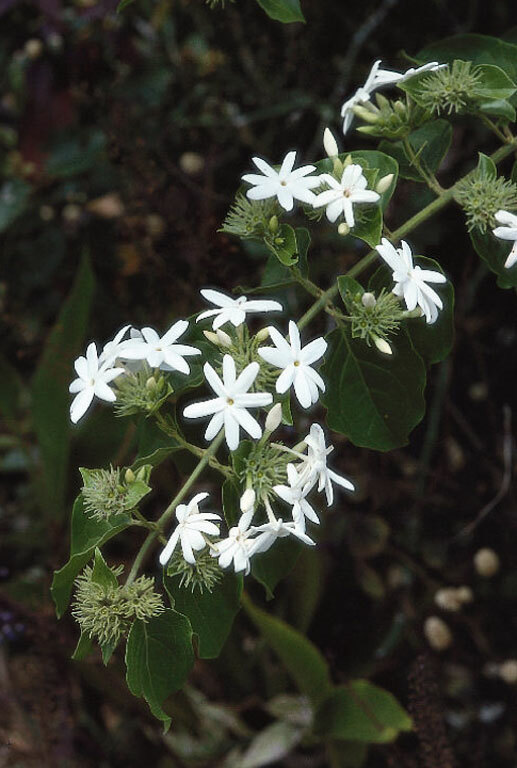 The branches of an average jasmine sambac shrub have been known to reach 8 feet in length, and you may wish to guide the general direction of this growth. Prune your jasmine diligently once it has bloomed. The fragrant flowers will only last for one day once they have opened their petals. Regular trimming will help encourage the growth of new wood, and only new growth will produce more flowers.